My computer isn’t this bad, but I do have my old German keyboard attached to a USB port using a PS2 to USB adapter. 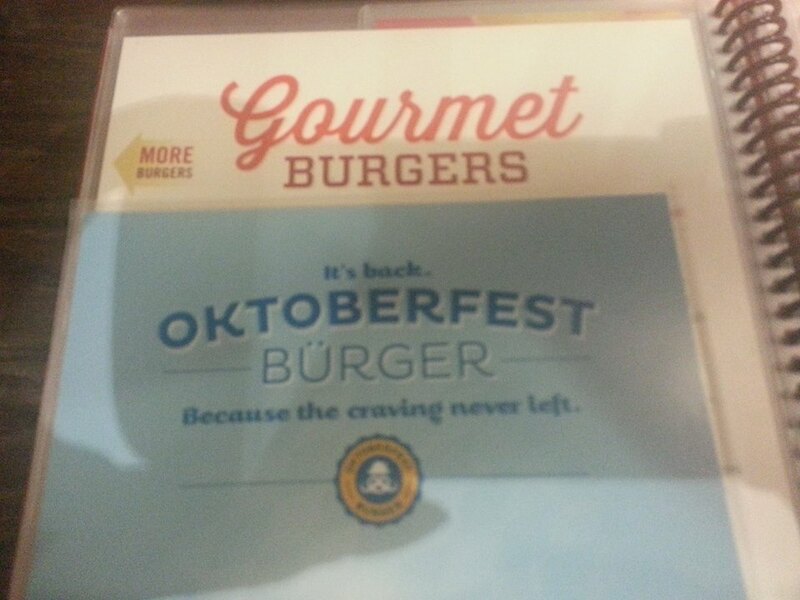 Gotta love America – where else could people enjoy gourmet Oktoberfest (German) citizens? 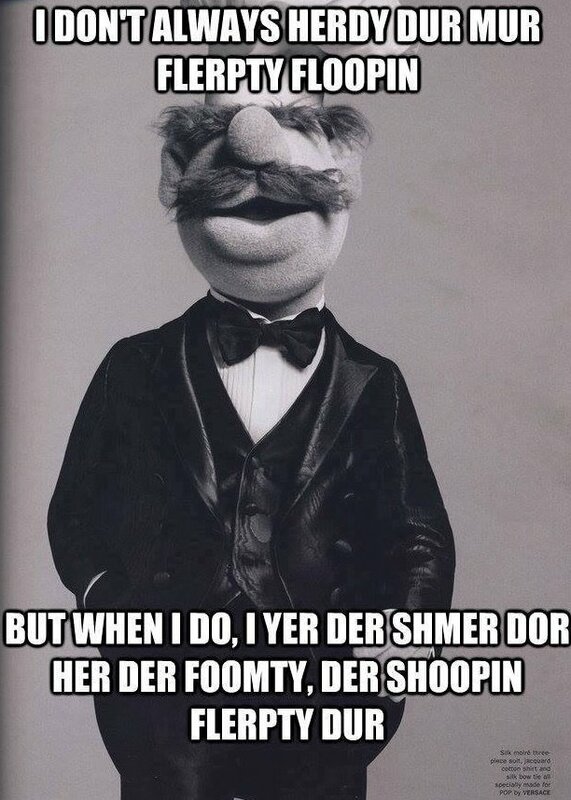 What a difference an umlaut makes! Thanks to Jutta Diel-Dominique who discovered this little gem at the Red Robin in Fort Collins, Colorado. and shared it with us on Facebook. As most people who deal with SAP know, SAP is a language unto itself. SAP has often used its own terms for areas and items that already have industry standard naming conventions. In some cases, SAP even use existing terminology for different purposes. It’s enough to make you want to tear your hair out. SAP realizes this and offers a terminology database to make our lives easier. 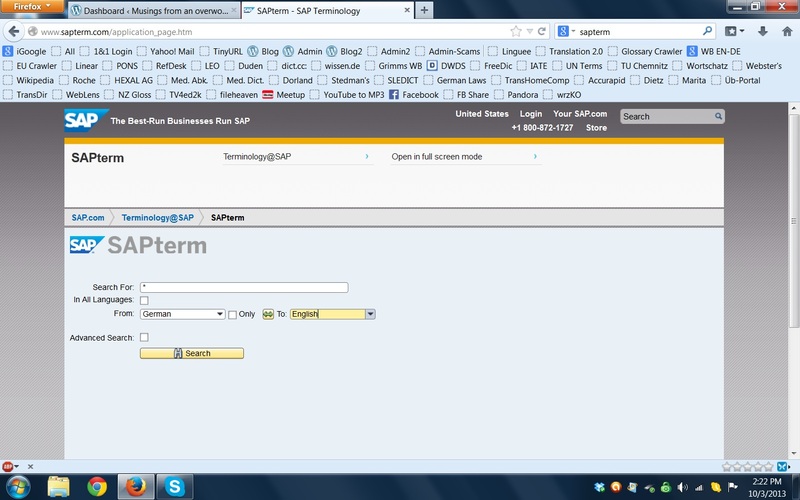 The SAP terminology database offers access to thousands of terminology entries in over forty languages. I am once again reinstalling my programs on a fresh OS. I started getting a Blue Screen of Death every few minutes and the computer would reboot. After the PC was in the repair shop twice the techs finally think it may have gotten a corrupted driver when the latest round of patches were installed. The only solution if I wanted the computer back after the two weeks it was there the last time was a fresh reinstall of the operating system. Many e-dictionaries are no longer compatible with Windows 7, so here is a link on the Langenscheidt website to updates & patches: http://www.langenscheidt.de/Service/Support/Updates_und_Patches. Simply download the eWörterbücher software, uninstall any existing installation and install the software. After it has been installed open the program using the Start menu and place your CD-ROM into your optical drive (be sure to not choose the automatic installation). Select >>> Datei >>> Bücher hinzufügen and select your CD-ROM drive. The dictionary files will then be added to the software. 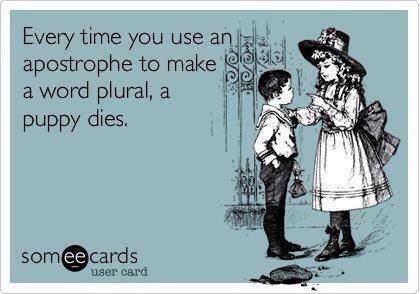 This means you don’t have to throw out all of your e-dictionaries! I own quite a few Langenscheidt e-dictionaries and have only been able to install my Acolada Unilex dictionaries up to now. I lost all my e-mails (but luckily no data – thank goodness for Carbonite! ), but that’s a story for another day. 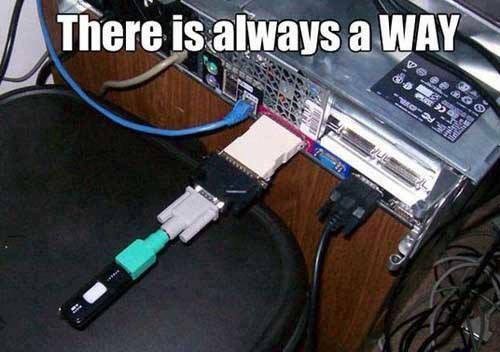 Let’s just say I am now relying on a new e-mail client and IMAP, which allows me to leave e-mails on the server.